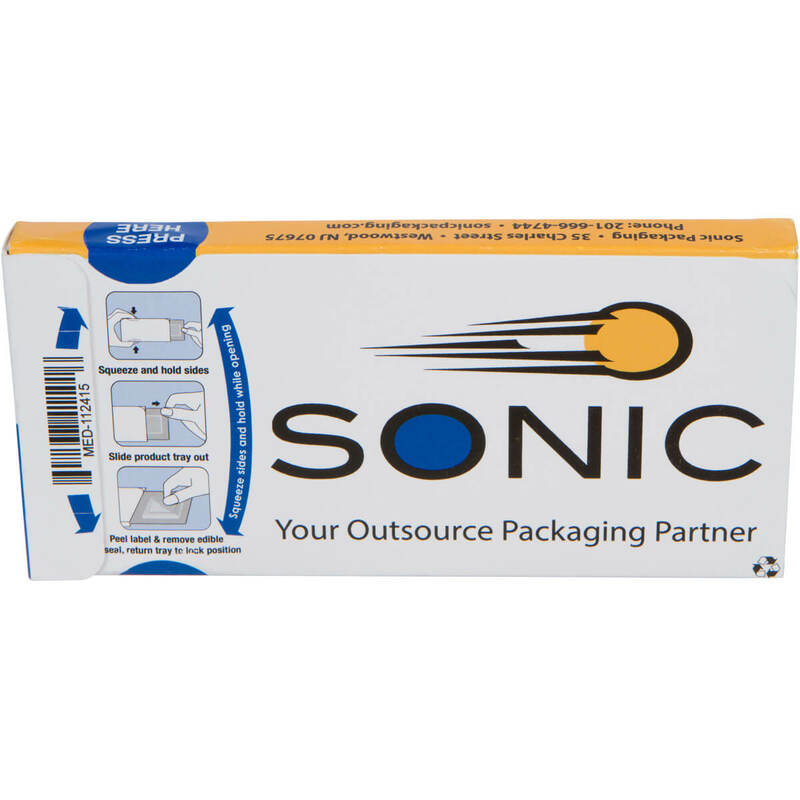 Sonic Packaging offers turnkey solutions for child-resistant contract packaging including pouches, blisters, trays, and cartons. According to the Poison Prevention Information Center, nine out of ten child poisoning incidents happen in the home. Medicines, household cleaners, and other chemicals can be sources of accidental poisoning. 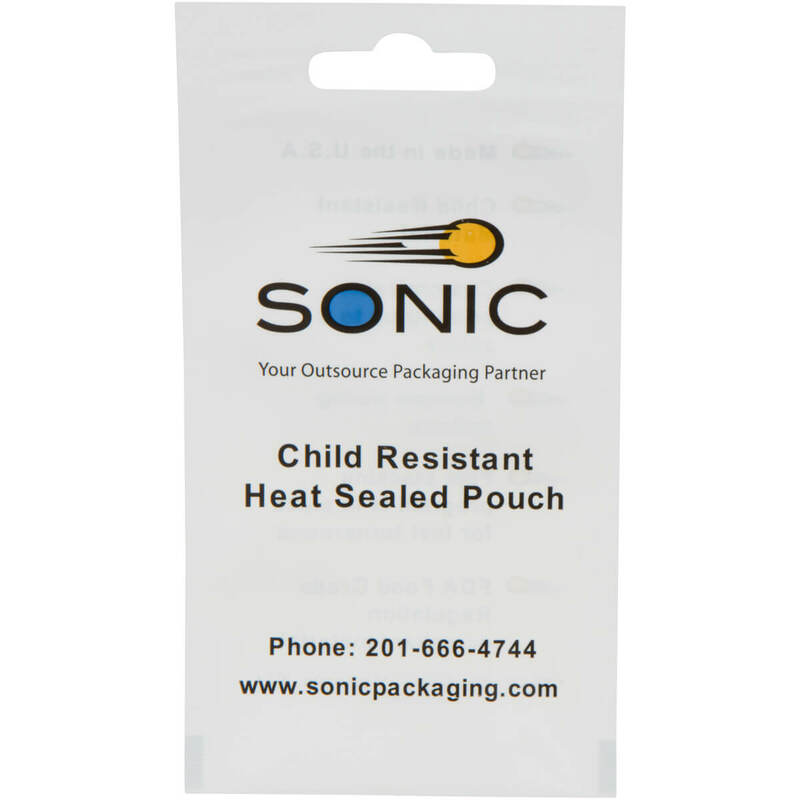 Sonic’s child proof packaging options are certified according to US 16 CFR 1700.20 and ISO 8317, helping to keep children safe. We offer a large inventory of stock materials to be printed and converted, offering our customer’s reduced lead times and maximum flexibility for product launches and multiple SKU’s. All materials are manufactured and produced in the USA. 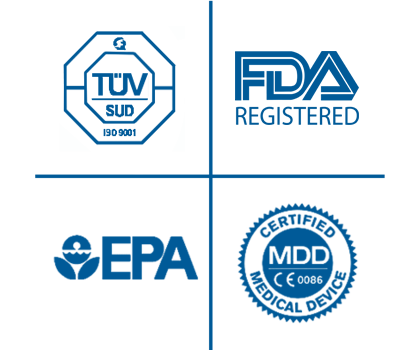 Multi-Use Trays and Cartons: Custom designed and tooled thermoformed trays and cartons that are certified, according to US16 CFR 1700.20, to contain a wide variety of single and multiple dosages of products that require a child resistant package. The trays are designed to seamlessly fit into a printed folding carton that will insure that the package can be opened and closed multiple times, while still maintaining a child-safe vehicle. 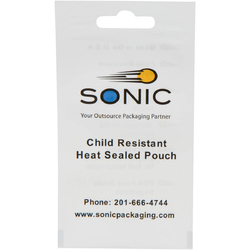 Child Resistant Pouches: A single use flexible package that is certified according to US16 CFR 1700.20. Can be printed up to 8 colors with sizes available from 1.75” x 1.75” to 6.0” x 9.0”. Custom designed and tooled thermoformed trays and cartons that are certified, according to US16 CFR 1700.20, to contain a wide variety of single and multiple dosages of products that require a child resistant package. The trays are designed to seamlessly fit into a printed folding carton that will insure that the package can be opened and closed multiple times, while still maintaining a child-safe vehicle. A single use flexible package that is certified according to US16 CFR 1700.20. Can be printed up to 8 colors with sizes available from 1.75” x 1.75” to 6.0” x 9.0”.